In City Island 2, you'll need to build houses, decorations and community buildings to keep your citizens happy and create jobs for you to earn money and gold coins. The people of your city will poll and give their opinion on how you manage the city! Plus, you can decorate your city with roads, rivers, railroads and trains, parks and hundreds of fun and beautiful design items. 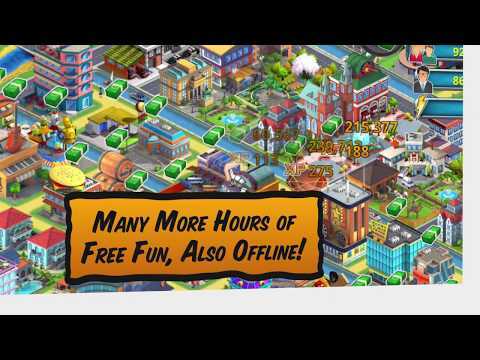 + Participate in fun quests that will help you create your own vistruel paradise in this free urban game! + Build and decorate a beautiful island with more than 150 unique objects: play your creativity!